Wowza, 100 posts! Can you believe it?! You become a slave to the WiFi connection: I sort of envisioned my travel blogging life as swaying in hammocks while writing witty posts for you all. My reality is more like sitting outside in swarms of bugs, crouching in front of hotel lobbies, buying countless cups of bad coffee…Anything to secure that illusuive WiFi connection to get the blog posted! 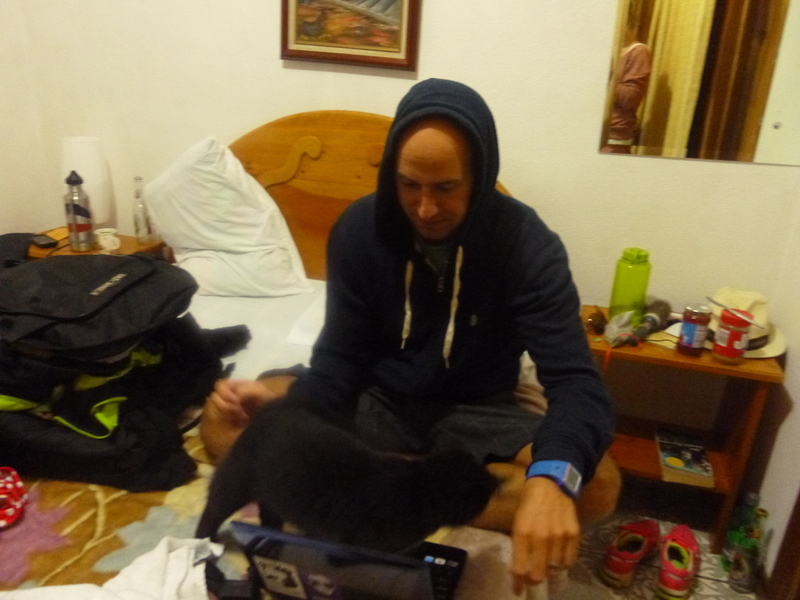 You make lots of friends while blogging! You start narrating blog posts in your brain: Instead of walking along the beach and thinking how nice the view is like a normal person, you have a little constant narrator in your head giving you a play by play, “We walked along the beach, the air was warm and the palm trees were swaying.” It’s an adverse side effect to being a blogger. 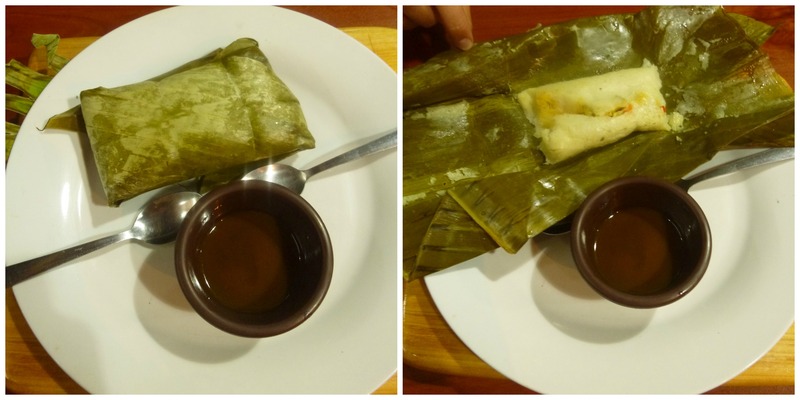 The blog becomes your third travel companion: What’s on the blog? Is the blog posted? I have to post the blog. What should I write on the blog? Want to write on the blog? 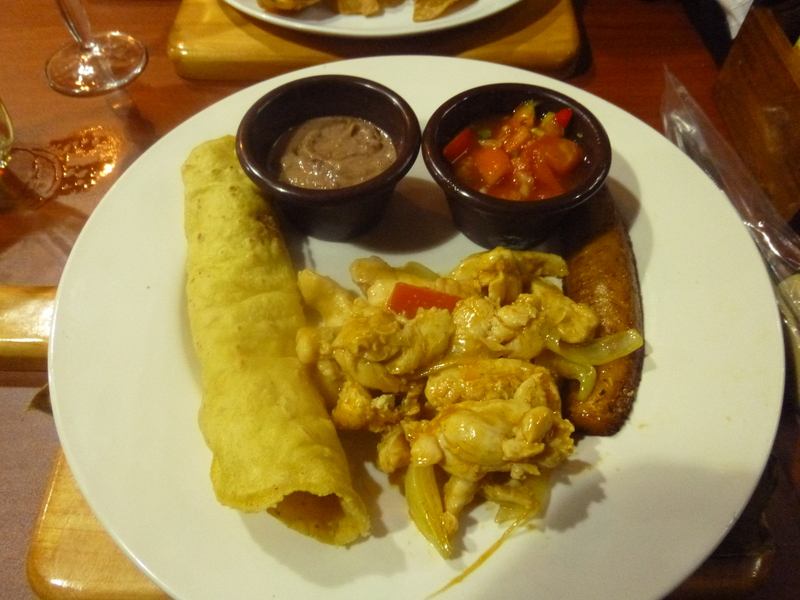 It’s for the blog…Catch my drift? 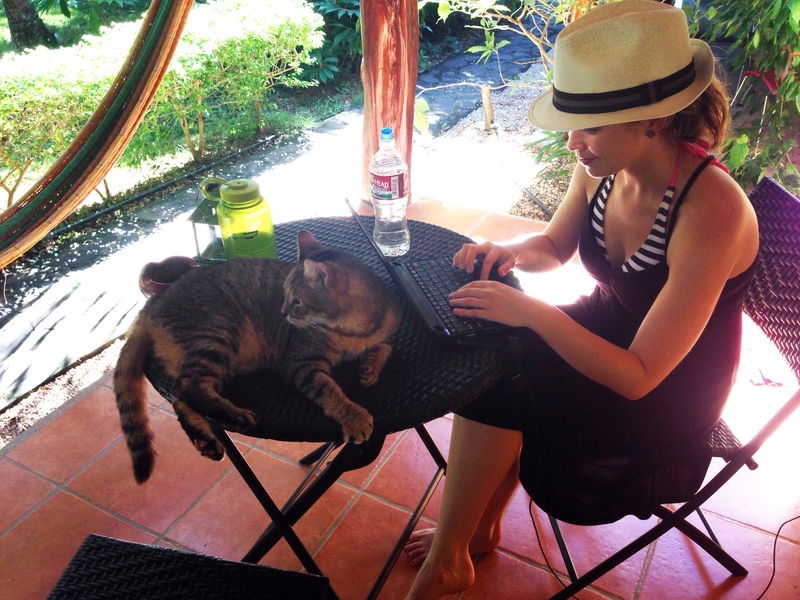 Sometimes my guest bloggers have guest bloggers! The travel blogger community is AMAZING! The travel blog community is amazing. I’ve been welcomed with open arms and have encountered some fabulous people both online and in person. I can safely say that my fellow travel bloggers are one of the best parts of this job!! All in all, writing this blog was one of the best decisions I’ve ever made. Not only does it allow me to stay connected with people back home and meet new people online but it has become a way of archiving our adventures. When we are old and gray we can log onto Hostels and Hot Rollers and smile. Most of all, it has been so wonderful to know that YOU are reading this. I so appreciate each and every person who stops by and reads about our adventures! Who are your favourite bloggers, travel or otherwise? After finishing our final kilometre long cable, it was time to take our wobbly adrenaline laden legs back down to the reception area to take our gear off. Once we were relieved of our harnesses, we moved on to the next phase our of our adventurous morning at Selvatura, the hanging bridges. 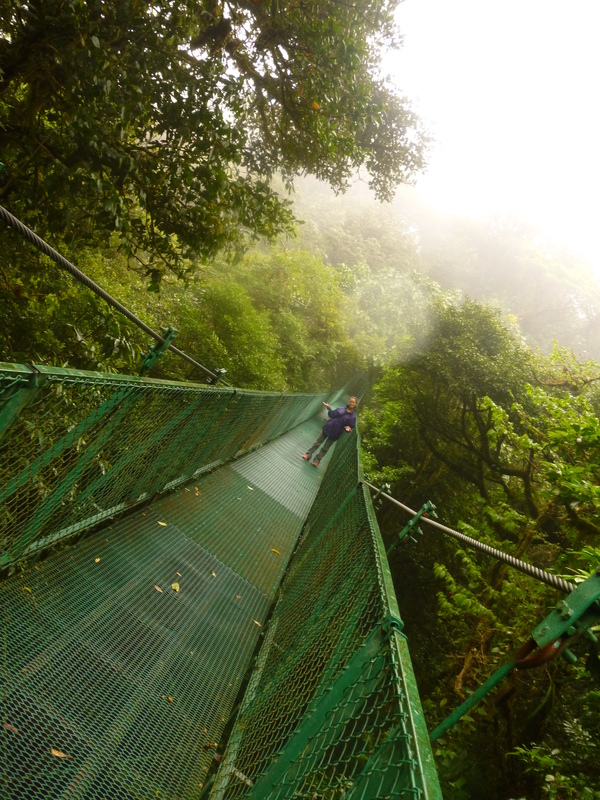 Selvatura has 8 hanging bridges with distances ranging from 150 feet to 510 feet and altitudes ranging from 36 feet to 180 feet. There is a forest path to hike along between the bridges, so the entire course is about 3 kilometres. It’s self guided, so you can take as long, or as little as you like. Shaun and I finished in just over an hour. 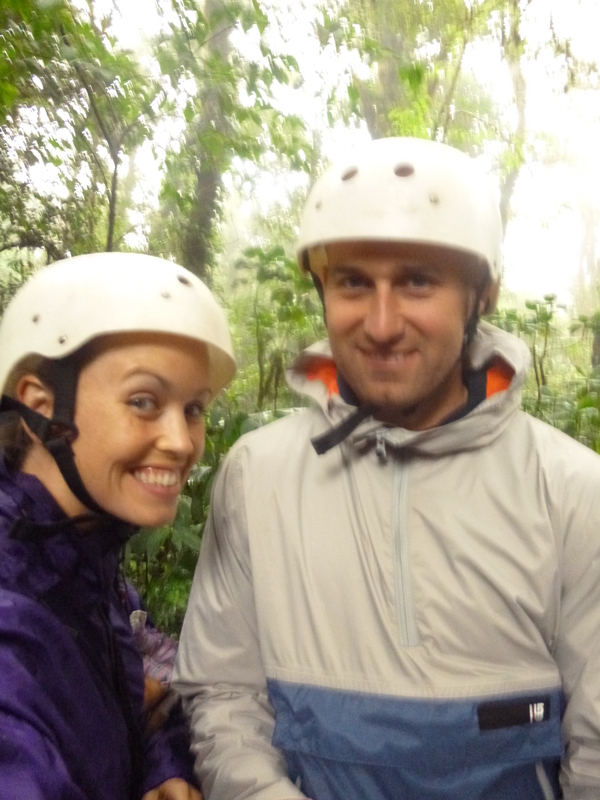 I think we spent half the time looking around, and the other half talking about our zip-lining adventure! Once we arrived back at reception, we waited for their complimentary shuttle to take us back to our hotel. This is such a huge perk, and made our day much easier. Bring a Snack: There is a pretty fancy restaurant on site, but not much for snack food. If you are spending a day at the park bring a snack. A very small backpack can be taken on the ziplines but they also offer lockers for day use. Long Pants and Close Toed Shoes: Like I said, it is cold so pants are essential, and obviously you don’t want to be losing your flippy floppy’s while your zipping! 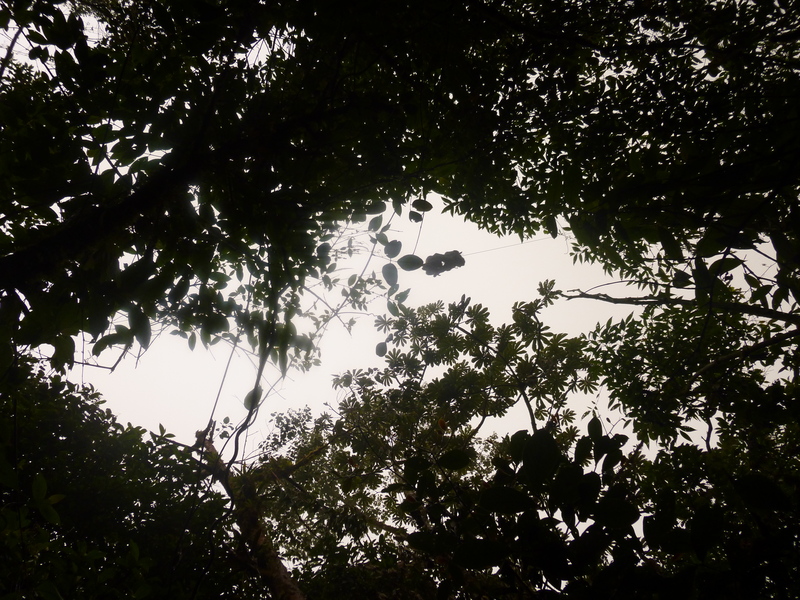 Check Out the Rest of the Park: Although we only spent a morning at Selvatura, you could easily spend the entire day there. In addition to the zip-lining and hanging bridges, they have several other exhibits including an insect, frog, snake, and butterfly museum. So there you have it! Another adventure down, many more to go. 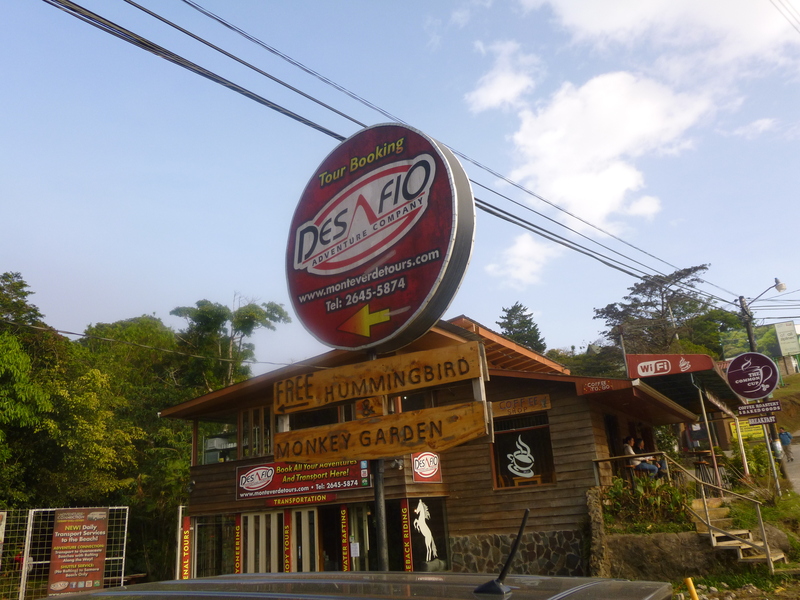 Thanks again Desafio and My Costa Rica for making it happen! 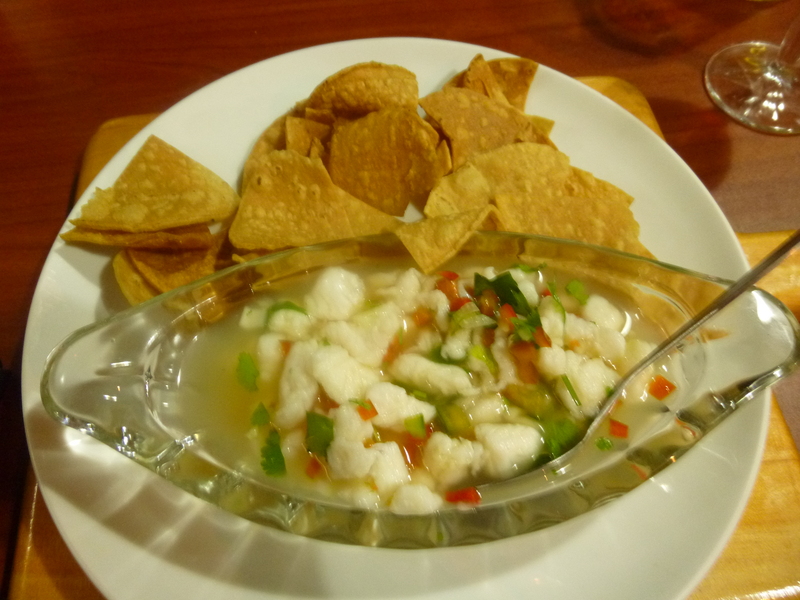 Today’s post is another part of my collaboration with My Costa Rica. A big thanks to both them and Desafio Adventures for another amazing experience! 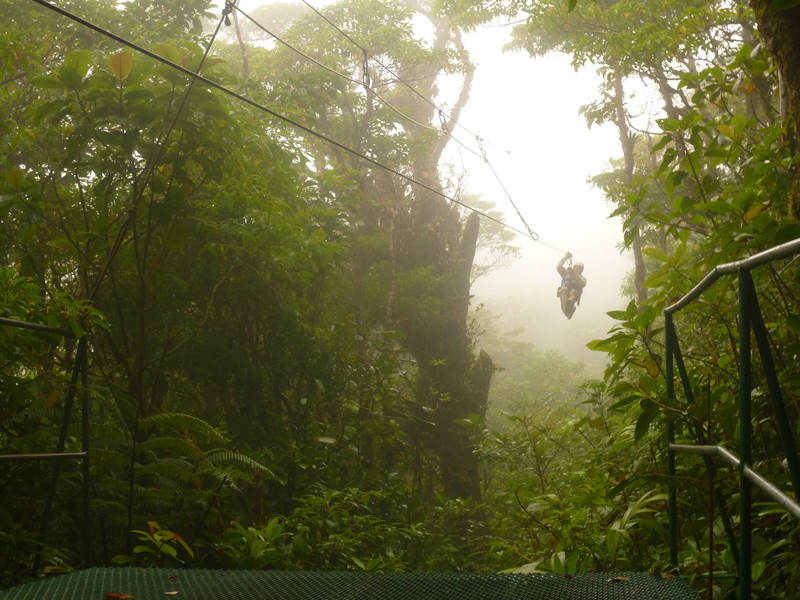 I knew that at some point during our 5 months here in Costa Rica, I would want to go Zip-lining. I had been once before during a previous trip, but Shaun hadn’t. In fact, Shaun has a little bit of a fear of heights. I actually thought I was going to have to fly solo for this adventure, but Shaun decided he was in. What a brave lad. geared up, and looking a little nervous! Desafio hooked us up with a day at Selvatura Adventure Park. 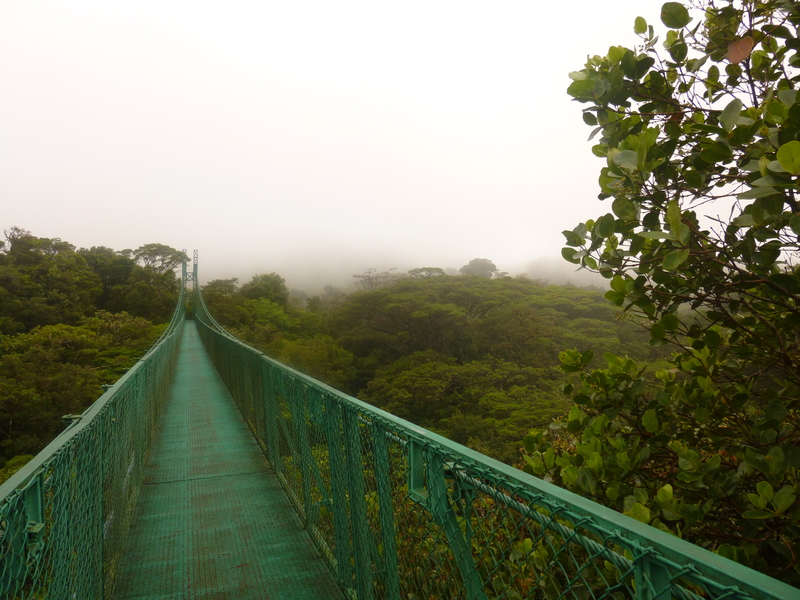 We would start the morning by zip-lining through the cloud forest, and then move on to the hanging bridges. It was going to be a busy morning, so we made sure we got a good nights sleep. Our shuttle picked us up at 8, and we drove about 30 minute to the park. As soon as we pulled up, we were whisked away to get geared up. Their process is beyond efficient. You walk into a room full of guides and gear. One of them makes eye contact with you and calls you over. Before you know it, you’re in a harness, a helmet, gloves, and you are on your way. It all happens so fast that you really have no time to even think about what lies ahead. Our orientation, and one of the few photo’s I would take this whole time. After being put into our gear, we got into a shuttle for a short drive to the starting point. The entire process from getting there to getting to the entrance took less then 10 minutes. All of a sudden we were in the middle of the jungle, and faced with a very big adventure ahead of us. The orientation was great. We were given clear instructions about the course, and the techniques we needed to know to get it done safely. Selvatura works on a hand brake system, which essentially means you stop yourself by pressing your glove on the line. Your glove has a big leather pad on the palm but It’s still kind of a scary thought at first. This was the technique I used last time, so I was okay, Shaun on the other hand, was not digging the whole “braking” aspect of the adventure. Totally stole this photo from the internet, but it gives you an idea of what we were working with! Click for the link! 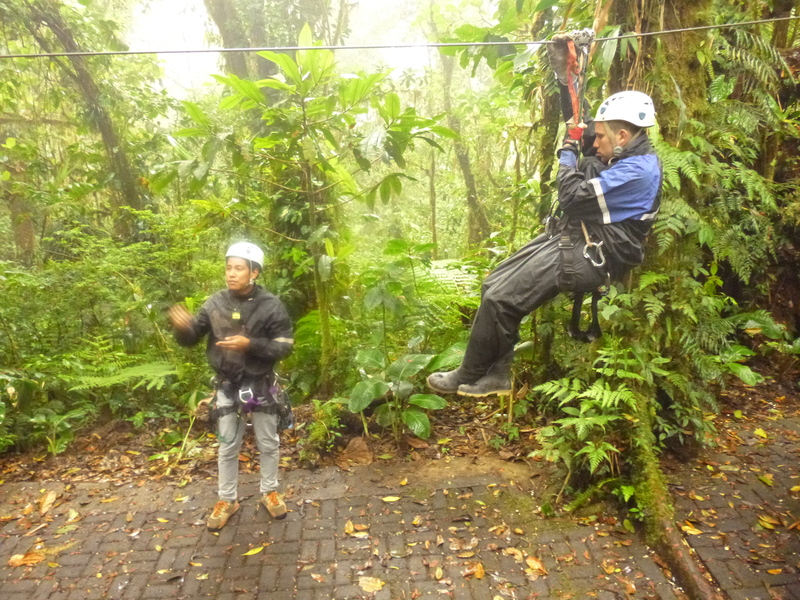 So essentially zip-lining goes like this: they strap you to the line, you sit down in the harness, lean back, put your head to the side, lift your legs, put your dominant hand on the line behind you, and your other hand holding the line attaching you to the cable. Got it? Totally a completely natural and relaxed position to be in as your zoom thousands of feet through the air! As you zip, the fingers of your dominant hand should circle around the line, like you are making the “Okay” sign with your thumb and pointer finger. When see the guide at the next platform putting two hands in the air (like he’s saying STAHP STAHHHHP) it means it is time to press your hand flat on top of the line to begin braking. It was raining the day we were there, which means the line go faster. They told us there may be a chance you would need to put both hands behind you to brake. Meep! Lucky for us, we only had to do the two hand brake once. In fact, most lines we didn’t have to brake at all! Often we were stopped by an automatic stopper the guides put out on the line. Once we got the hang of the whole braking process it was smooth sailing…or zipping from there. Selvatura has 15 cables to zip through of all different lengths. Trying to describe the experience of zip-lining is nearly impossible. You are flying above the trees, through the clouds, at incredible speeds.the wind is hitting your face so hard you can barely keep your eyes open. It’s truly breathtaking, and a feeling that is impossible to capture in words. The last line is a kilometre long. Can you imagine! An entire kilometre soaring through the air. But you don’t have to experience it alone, the last cable you are with a partner.Shaun was behind me, with his legs wrapped under my armpits, and I was just dangling there for dear life. It was like some sort of crazy couple bonding experience! It wasn’t quite the same as bungee jumping, as you don’t really have a choice when you jump, they just sort of open the gate, and you fall forward. Either way, it was awesome and I’m so glad I did it. 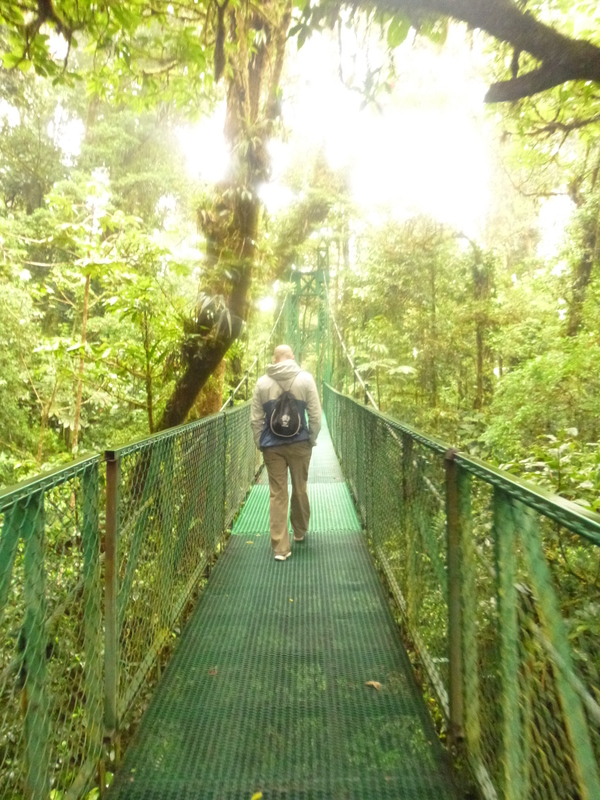 After our zip-lining it was time for the hanging bridges…but I’ll put a pin in it for now. I can’t promise as much death defying excitement in the next post, but it was memorable nonetheless. Have you ever zip-lined or bungee jumped? Lets hear about it! 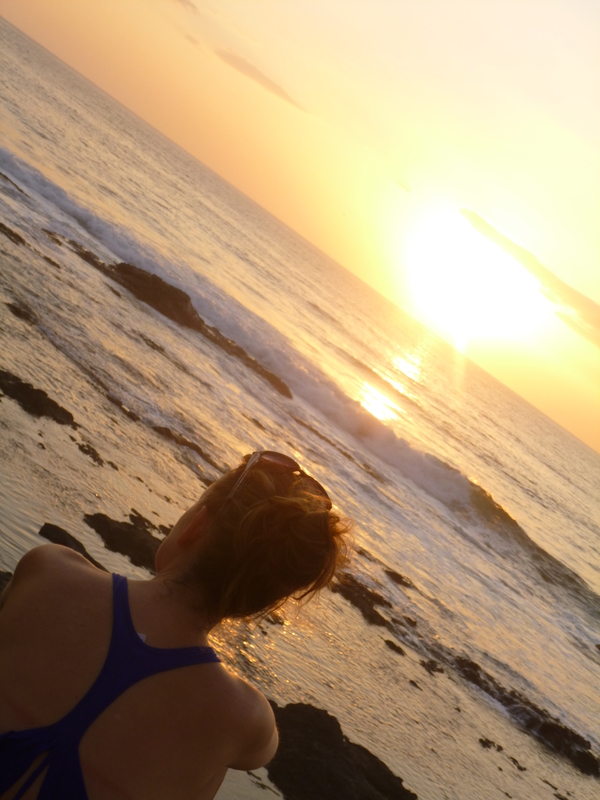 Being surrounded by all of Costa Rica’s natural beauty is a constant source of inspiration. I feel my creative juices flowing on a daily basis. Throughout my life, writing has always been my consistent creative outlet. Outside of my daily blog posts, I find myself journalling and doing the occasional freelance article. So I’ve pretty much got the writing side of things covered. 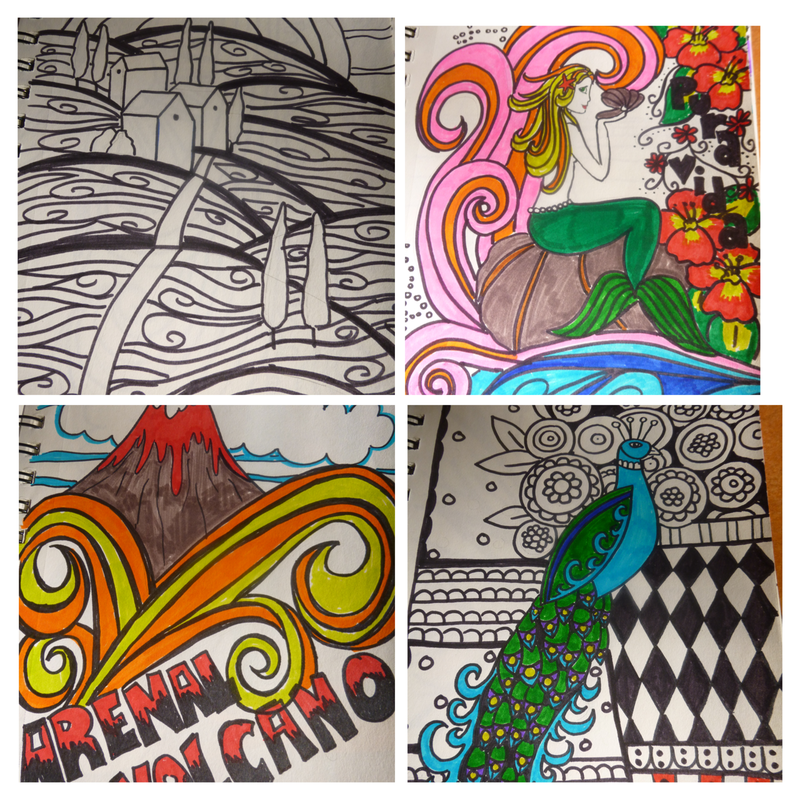 Prior to our departure I had started dabbling in some more artistic outlets. A couple paintings here and there, but nothing to serious. At the last minute I decided to pack a sketchbook and some markers, figuring they might come in handy if I was bored one day. Ever since we arrived I’ve been sketching my little heart out, in fact, I’ve gone through three packs of markers already. Although I’m inspired by artist such as Yapes Paint and Marina Jenelle, I gain lots of my inspiration from local art. I think every town we’ve visited has some sort of art gallery. Whether it’s paint on driftwood, or giant metal sculptures, it is evident that EVERYONE’s creative juices are flowing here in Costa Rica. After spending the last several months with my markers glued to my side, I found I was getting restless with their limitations. I couldn’t blend colours, or get really fine details. I started keeping my eyes out for paint but soon realized it was impossible to find. Whenever I would find a local artist, I would ask them where they get their paint from. The answer was always “San Jose.” I knew we wouldn’t be staying in the heart of San Jose, so figured I would be destined to be paintless till we got home. Then we went to Panama, and I connected with Christin at Random Art in Bocas del Toro. Not only did she have an amazing set of acrylics that I could travel with, but she hooked me up with paint brushes, and a great big sketchbook. Needless to say, I was stoked. 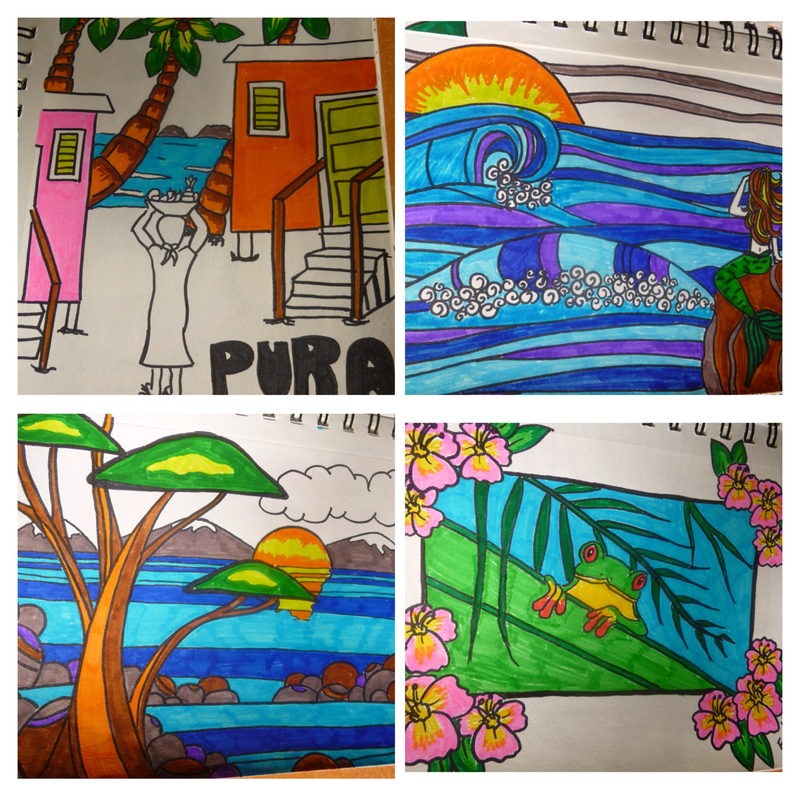 So now I’ve reached a turning point with my creativity in Costa Rica. Paints are a whole different ballgame, and to be quite honest, I’m sort of intimidated. In fact, I’ve been lugging the paints around for over two weeks, moment to dive in. 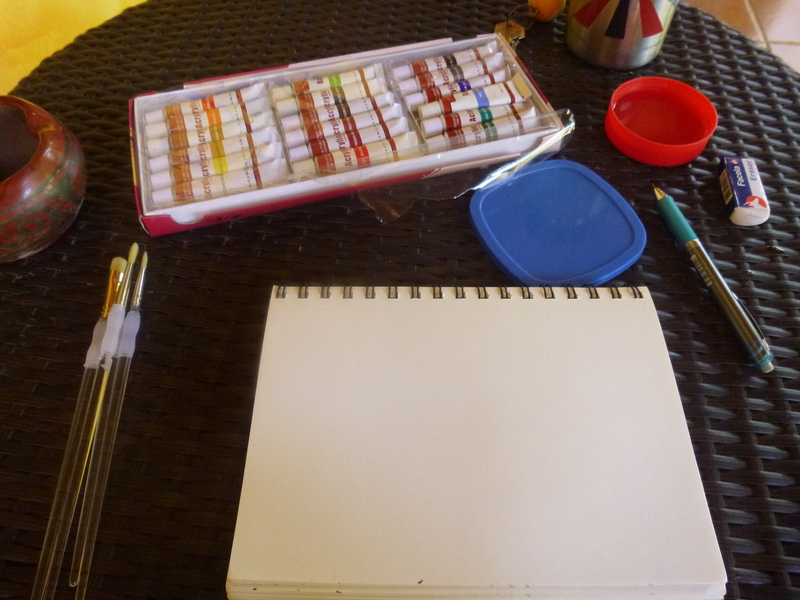 I no longer have the security blanket of my markers and little sketchpad. I can’t just throw it in my purse, and whip it out when I’m bored. I know need to find a space, set up my supplies, and be solely focused on creating something. It’s actually pretty exciting. So, I guess this will be a two part post. The calm before the creative storm. You’ll just have to wait and see what comes out of this brain…You could be in for some very colourful finger painting!! 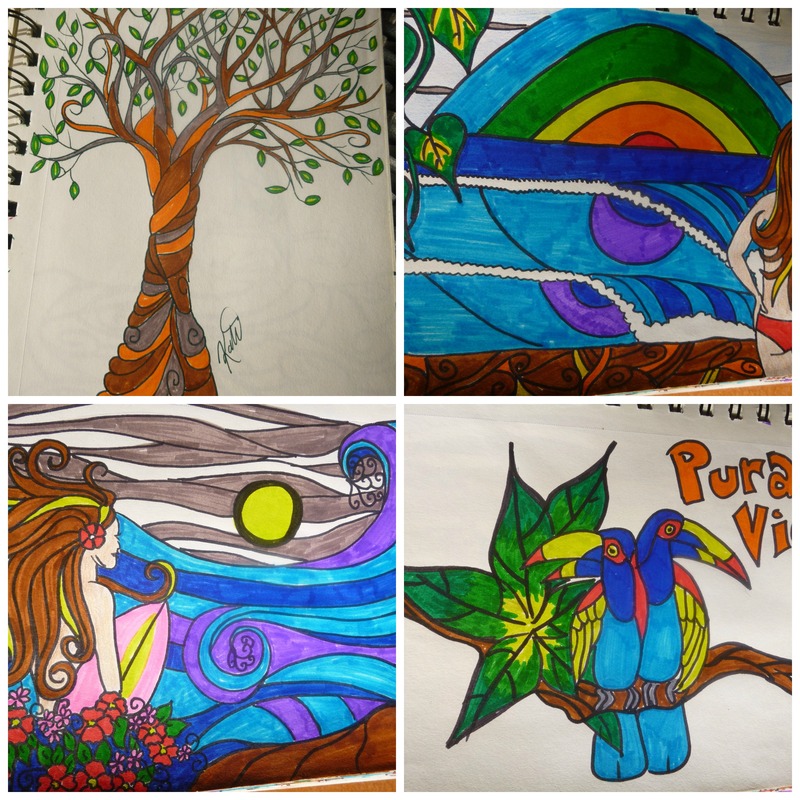 Question for the day…what should I paint?? I love it when we find a place to stay that makes our time in a town extra special. I can’t recommend Cabinas Eddy enough, so bare with me as I gush. Cabinas Eddy is located a short 5 minute walk from the “centre” of town. I use the word centre loosely, as it really is only a small strip of shops and restaurants. 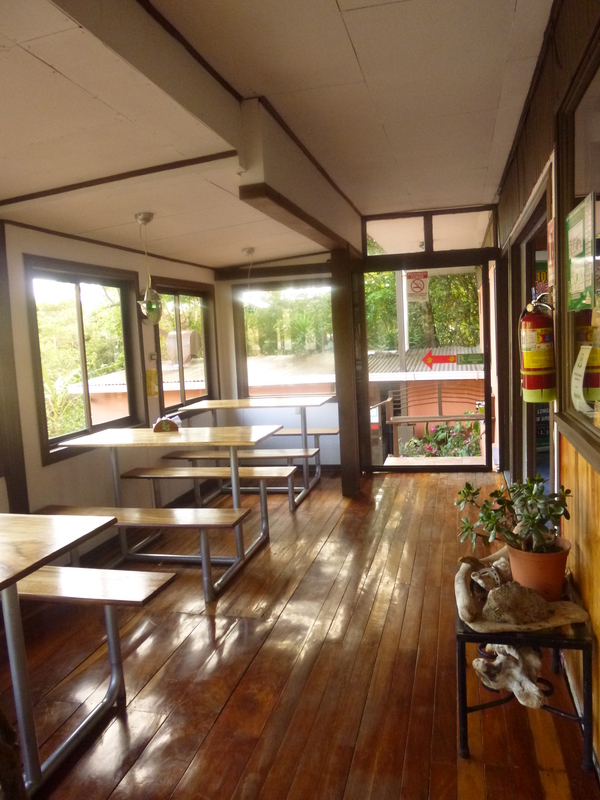 The hotel/hostel has a variety of room options including both shared and private. We opted for a private room with ensuite bathroom, but in retrospect we could have easily taken one with a shared bathroom. The bathrooms were so clean and nice, that it would have been totally fine. Along with their cleanliness, Cabinas Eddy also offers their guests WiFi, a shared kitchen, free coffee, tour information, and even a barbershop! I can’t even tell you how many travellers I saw in there getting a much needed haircut! One of the most amazing aspects of Cabinas Eddy is their breakfasts. Often when places advertise that breakfast is included you either get a very limited buffet, or are actually faced with an extra charge for breakfast upon arrival. Cabinas Eddy is VERY different. Every morning we would go downstairs and the lobby would be set up like a full fledged restaurant. Eddy and his family ran a tight ship, quickly and efficiently taking everyones orders, and getting breakfast out fast so everyone could take on their day. Every person got a plate of freshly cut fruit to start, and then their choice of hot breakfasts. 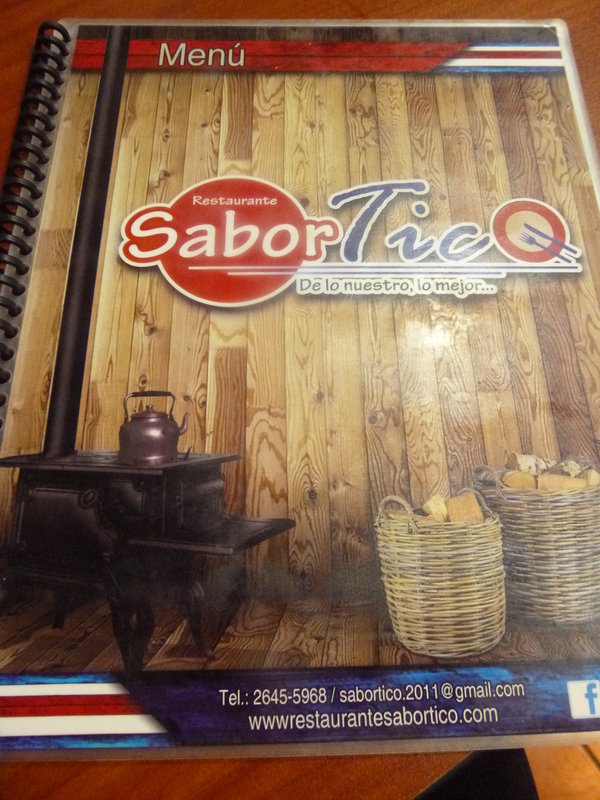 They offer the same menu everyday, Banana Pancakes with coconut syrup, Ham and Cheese Omlettes, Breakfast Sandwich, Eggs Ham and Toast, and a breakfast wrap. It certainly made for some big decisions every morning! Breakfasts aside, Cabinas Eddy is really an amazing. It’s truly a family run establishment which makes the atmosphere warm and loving. The whole family pitches in and you can tell they really care about every guests well being. We had a stow away the day we were leaving! Guests of Cabinas Eddy can book all their tours right at the front desk. 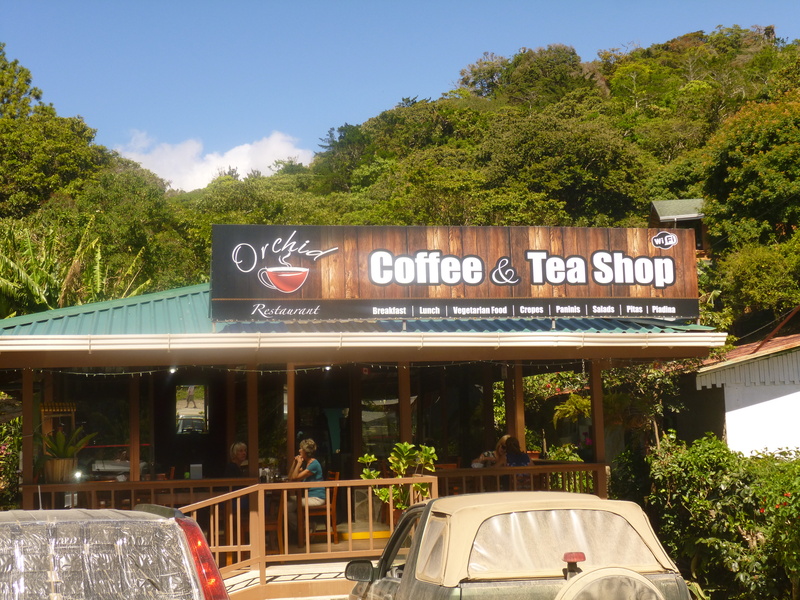 This makes it a wonderful hub for anyone’s stay in Monteverde. I nearly forgot to mention one of our favourite parts…LUNA! This little furball belongs to Eddy’s daughter. Although they have a couple cats as pets, Luna stole our hearts. She was all black, like our bearcat at home, but a big fluff ball. I’m sure it was against the rules, but we invited her to our room on more then one occasion. Her presence made us feel right at home and we had so much fun playing with her. I have a last little insider tip on Cabinas Eddy. As you leave the property and start walking up the hill to town, make sure you look in the trees on the left hand side. 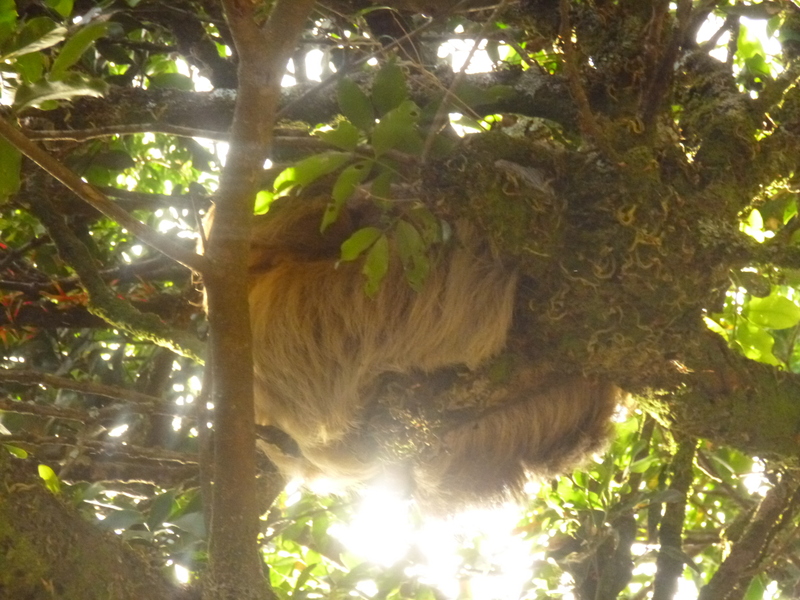 There is a mama sloth and her baby that hang out in the trees.We passed by then every single day! It was a very memorable part of our stay! 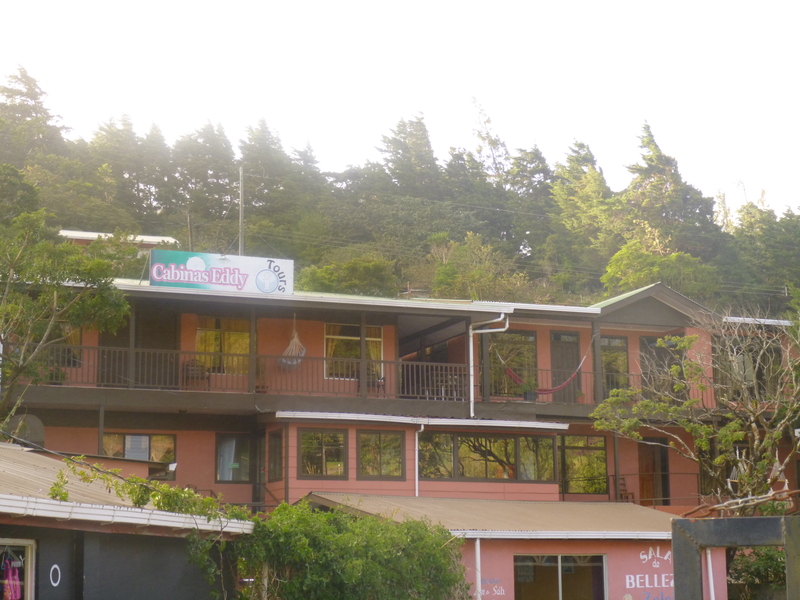 If you are staying in Monteverde and are looking for a place that is central, affordable, has a great atmosphere, and delicious breakfasts, I would highly suggest Cabinas Eddy. Don’t forget to say hi to Luna for us!